Prima Industrie S.p.A, a company leader in high technology laser systems, sheet metal working systems and electronic components for industrial applications, is celebrating 10 years since the acquisition of Finn-Power. That operation, which allowed the Group to assume an increasingly global dimension, was followed by a phase of deleveraging and financial strengthening. The Group today is still aiming to grow, further improving the important results achieved, from the point of view of both market coverage and product innovation. The integration between Prima Industrie and Finn-Power has allowed the Group that was born to overcome the period of the global crisis of 2009 and to resume growth, increasing its direct presence on the main geographic markets. In 2017 the new modern headquarters of the company (production facility and offices for about 20,000 square meters) started being built in Seinajoki, where it is expected to move in the second part of this year, leaving the current plant in Kauhava. 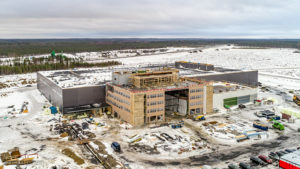 The construction of this building was completely financed by the Municipality of Seinajoki, which was put in competition with other local authorities to secure the company’s headquarters, which is one of the leading high-tech industrial companies in Finland. The company has also recently received from the Finnish consulting company Asiakastieto Oy a credit rating of AAA, in addition to the “Strongest” certificate, which represents an important recognition for the work done in the improvement of profitability and financial position, as well as a guarantee of soundness for its stakeholders. “4 February 2008 was a turning point – explains Prima Industrie Managing Director, Ezio Basso – we made the most important acquisition of our history that allowed us to double our size, significantly changing the history of the Group. The integration gave birth to a Group that today has about 1800 employees, a turnover of well over 400 million euros and production plants in Italy, Finland, USA and China, with more than 13,000 machines installed in 80 countries“. Juha Makitalo, Managing Director of Finn-Power Oy, added: “The integration between our two big Groups turned out to be absolutely correct from the point of view of technology and product range and allowed us to better focus our strategy of innovation and growth also in the future”. “Today, 10 years later, we started to look around again“, comments the Chairman, Gianfranco Carbonato “Since the time of the IPO on the Stock Exchange, over 18 years ago, Prima Industrie has grown on average 12% per year both internally and externally. We are now considering possible prospects for further external growth, particularly on the Asian markets. 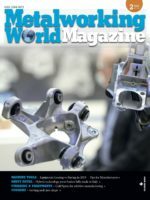 For the future we also look at advanced applications, such as Additive Manufacturing, which is one of the essential technological pillars of Industry 4.0 “.